One of Mexico’s oldest beverages is gaining new ground in the U.S., and a two-week-long festival celebrates the smoky spirit. One of Mexico’s oldest spirits is gaining new ground in the U.S.
Mezcal, a distilled beverage made from the agave plant, grew in sales from 50,000 cases in 2009 to approximately 360,000 cases in 2017, according to the Distilled Spirits Council. Behind beer and tequila, it’s become Mexico’s third largest alcoholic export; and around D.C., mezcal is a mainstay on many restaurant menus — including Oyamel’s. 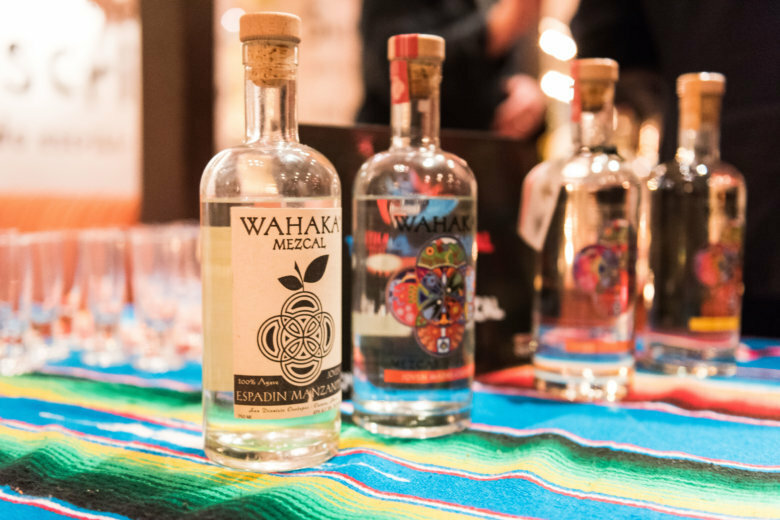 Through March 17, the downtown D.C. restaurant is celebrating mezcal and its sister spirit at the seventh annual Tequila Mezcal Festival. Over two weeks, Oyamel will host tastings, pairings, producer meet-and-greets and film screenings that focus on the agave-made drinks. Unlike tequila, which is made specifically from blue agave, mezcal can be produced from a number of agave varieties, making it one of the most diverse spirits available. Before distillation, the piñas, or agave hearts, are roasted underground for a few days alongside lava stones. This gives the spirit its signature smoky flavor. “It’s so unique within itself,” said Grublauskas, who recently traveled to Michoacán, one of the handful of Mexican states that make mezcal. Shaken? Stirred? Straight? When it comes to mezcal, Grublauskas said there’s no wrong way to drink it — especially as more artisan bottles make their way to the U.S.
“Mezcal, to me, goes incredibly well into stir cocktails or with citrus,” Grublauskas said. A popular way to sip it is in the form of a margarita (swap out tequila for mezcal) or neat (in a glass at room temperature). Around town, Espita Mezcaleria makes a martini with mezcal, and the award-winning Columbia Room makes a mezcal grasshopper julep. A number of establishments, including Oyamel, pour mezcal flights so diners can familiarize themselves with regional differences and flavor variations. On Tuesday, March 5, Oyamel will host a “Nine States of Mexico” dinner, where Arik Torren of Fidencio Spirits will pour nine different Mexican spirits paired with small bites representing nine states of Mexico. Wednesday, March 6 is the screening of the documentary “Agave: The Spirit of a Nation” at Landmark’s E Street Cinema, followed by mezcal and Mexican bites at Oyamel. For a more intimate experience, consider a cocktail dinner at the restaurant’s ceviche bar. A five-course meal will be served alongside agave-based spirits. Tickets for dinners March 12 and 13 are available online. For information on times, tickets and Tequila Mezcal Festival details, visit Oyamel’s website.